Studio Makkink & Bey is led by architect Rianne Makkink and designer Jurgen Bey. The studio works in various domains of applied art and includes public space projects, product design, architecture, exhibition design... Read more and applied arts. Supported by a notable design team, they have been operating their design practice since 2002. 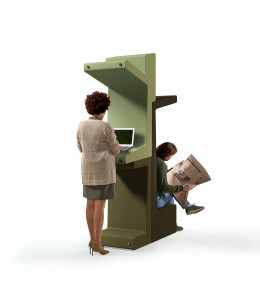 EarChair creates a private space that stands comfortably in public or open office spaces. 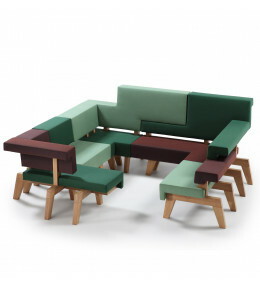 WorkSofa is a modular and flexible soft seating series designed to stimulate conversations in office breakout and lounge areas. BeTween Sit-Stand is a modular agile working furniture solution for open plan offices.